Distributor Funimation has announced another batch of anime that they will be bringing to their streaming service Funimation Now for the United Kingdom, Ireland, United States, Canada, Australia, and New Zealand. To recap, they have already confirmed plans to simulcast & dub AFTERLOST, Attack on Titan Season 3 Part 2, Fairy Gone, Fruits Basket (dub only, simulcast over on Crunchyroll), Kono Oto Tomare! : Sounds of Life, Mix, RobiHachi, and YU-NO as well as returning series Black Clover and Fairy Tail: Final Season. The following new additions joining their Spring 2019 seasonal line-up are The Helpful Fox Senko-san, Isekai Quartet, Strike Witches: 501st JOINT FIGHTER WING Take Off!, and Wise Man’s Grandchild; all four will be streaming in both the original Japanese audio with English audio as well as an English dub via simuldub format. 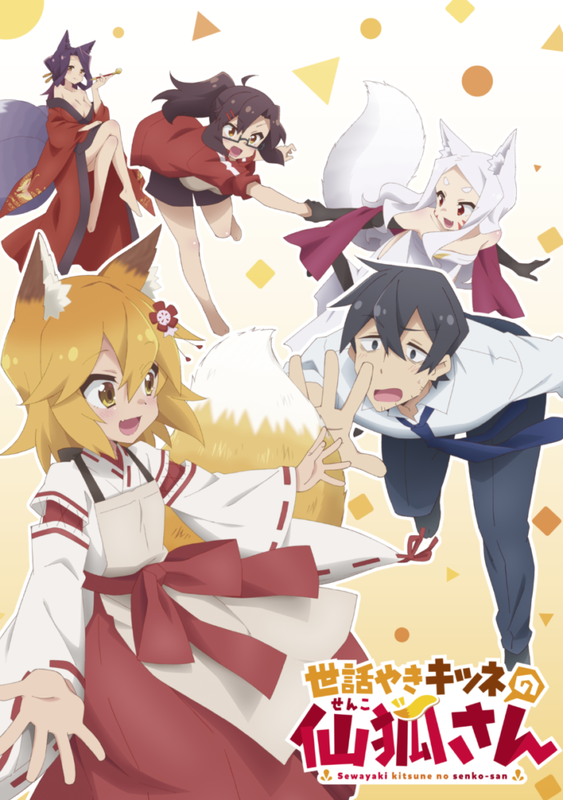 The Helpful Fox Senko-san (Sewayaki Kitsune no Senko-san) is an adaptation of Rimukoro’s 2017 manga series. The anime will be animated by studio Doga Kobo and directed by Tomoaki Koshida. 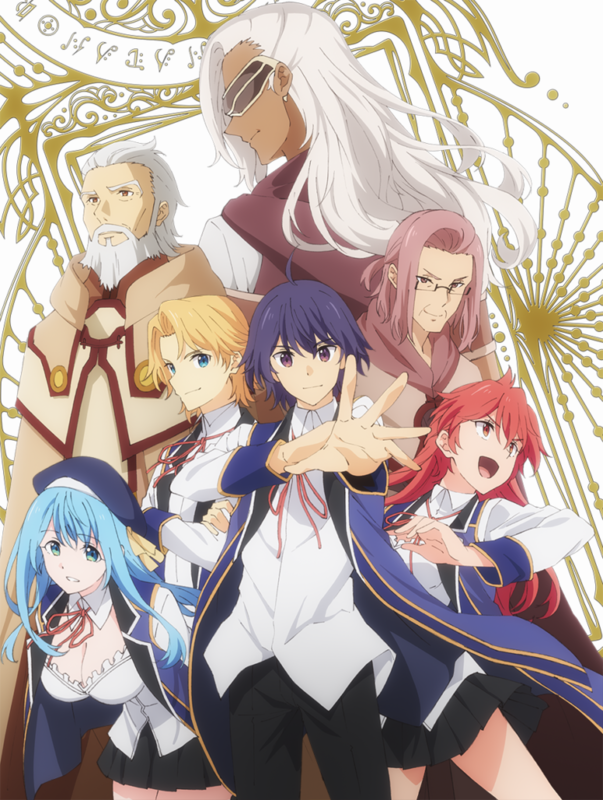 The first episode’s simulcast will air on Wednesday, April 10th at 3:30pm UK time, followed by the English simuldub on Wednesday, April 24th at 9:00pm UK time. 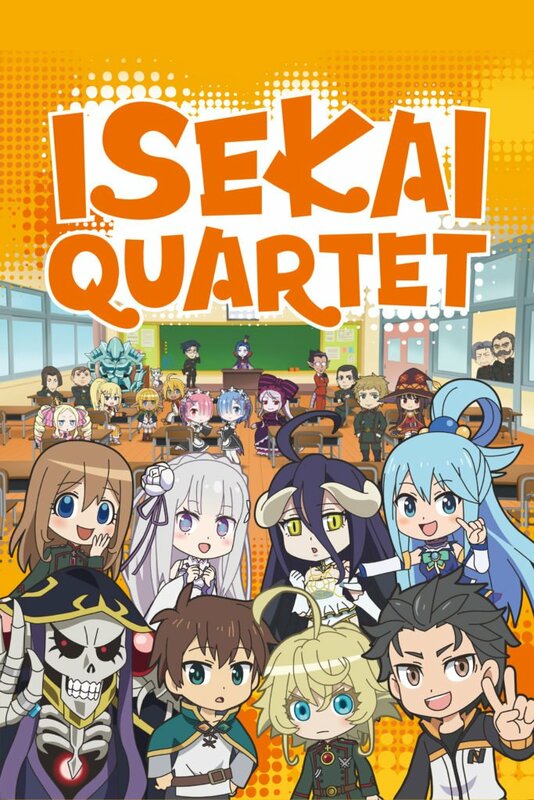 Isekai Quartet is an original anime crossover series between Konosuba, Overlord, Re:ZERO -Starting Life in Another World- and Saga of Tanya the Evil. The anime will be animated by Studio PuYUKAI and directed by Minoru Ashina. The first episode’s simulcast will air on Tuesday, April 9th at 5:00pm UK time, followed by the English simuldub on Tuesday, April 23rd at 9:00pm UK time. Strike Witches: 501st JOINT FIGHTER WING Take Off! (Strike Witches: 501 Butai Hasshin Shimasu!) 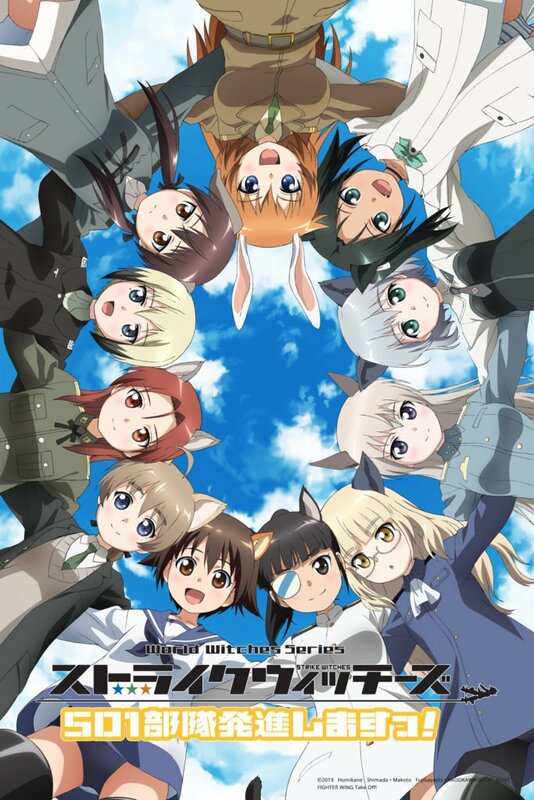 is an adaptation of Makoto Fujibayashi’s 2011 spin-off manga series for Strike Witches. The anime will be animated by studios acca effe and Giga Production, and directed by Fumio Ito. The first episode’s simulcast will air on Tuesday, April 9th at 5:15pm UK time, followed by the English simuldub on Tuesday, April 23rd at 9:00pm UK time. Wise Man’s Grandchild (Kenja no Mago) is an adaptation of a Tsuyoshi Yoshioka’s 2015 light novel series. The anime will be animated by studio Silver Link and directed by Masafumi Tamura. The first episode’s simulcast and English simuldub will premiere on Wednesday, April 10th at 4:30pm UK time. A young man dies in a car accident and is reborn in a magical new world. The old, yet wise Merlin finds the boy, names him Shin, raises him from infancy, and teaches him combat and powerful magic along the way. 15years later, Shin is ready to travel the globe on his own, but Merlin forgot to teach him something major – common sense! As the partnership with Crunchyroll has concluded, currently these four titles will remain exclusive to the Funimation Now streaming service for the territories mentioned above. There is a couple of anime left in the Spring season not yet acquired for simulcast so we could see one or two more make an appearance. In the mean-time, a total of 12 anime in addition to 2 returning anime shows roundup Funimation’s Spring 2019 line-up for the UK & Ireland (the US & Canada viewers will also have subbed versions for Aniplex’s Demon Slayer and We Never Learn, as well as the returning series One Piece available).